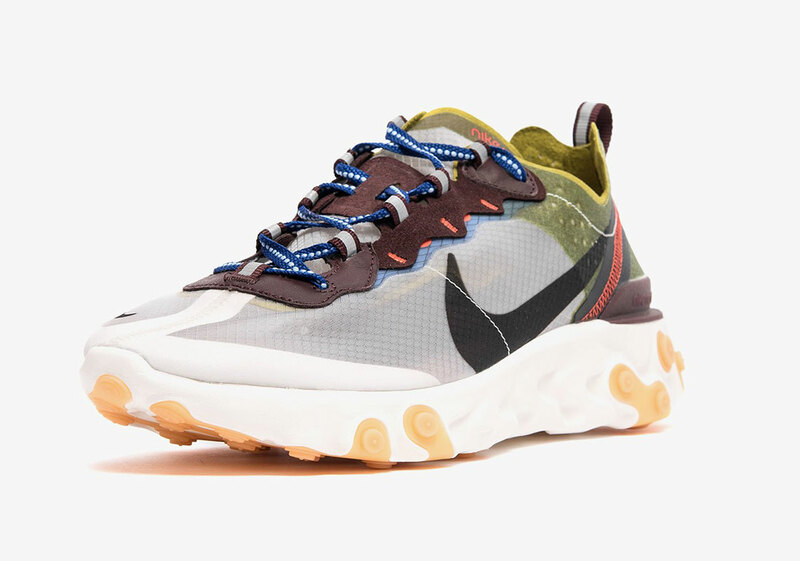 At the tail end of 2018, Nike dazzled sneakerheads with the all-new Nike React Element 87. Using their brand new React technology, the Beaverton brand developed a fresh lifestyle silhouette that has received a ton of much-deserved hype over the last few months. While plenty of colorways came out at first, it appears as though the shoe has come to a screeching halt as of late. 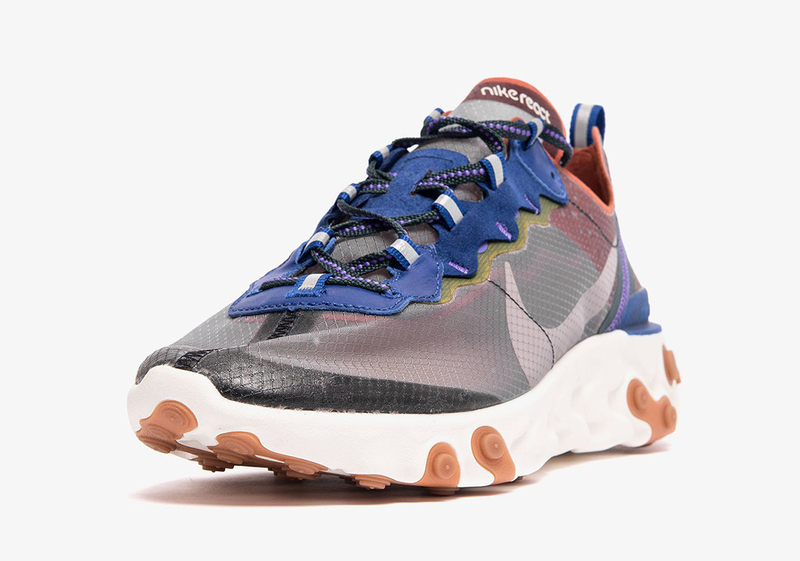 New colorways of the React Element 55 continue to release, but the 87, made unique by its translucent upper, has fallen by the wayside. Fortunately, Nike has brought it back and in a big way, as two new colorways are set to release next month. "Dusty Peach/Atmosphere Grey," and "Moss" are the two color schemes Nike fans can expect next month. The "Dusty Peach" offering is characterized by earthy tones of brownish orange, as well as blue highlights on the tongue and heel. Green, purple, and yellow can also faintly be seen on these kicks. As for the "Moss" version, the shoe has a lot of yellowish green on the back, with burgundy, brown, and blue highlights appearing throughout. 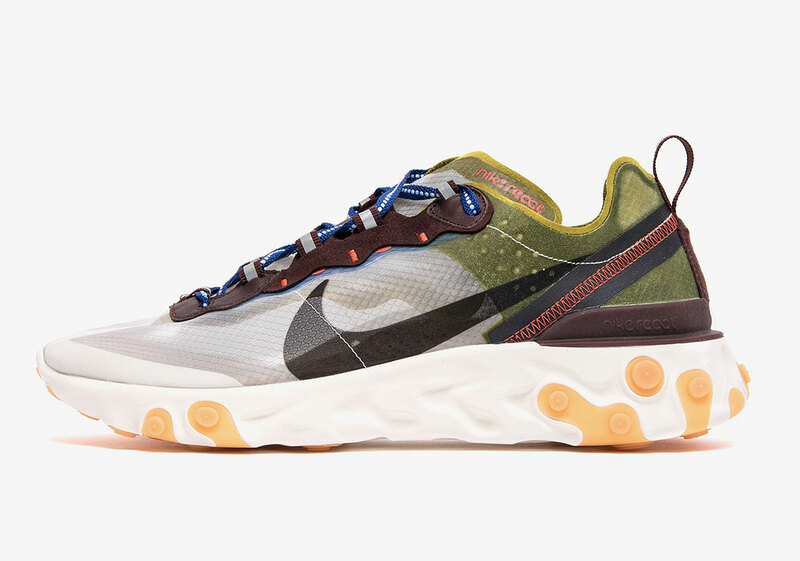 These two new colorways are consistent with the aesthetics shown off by previous React Element 87 models. The colorways have been unconventional, to say the least, although sneakerheads seem to love them regardless. According to Sneaker News, both colorways will release on May 2nd for $160 USD.